In an ever – shrinking job market, finding a job is almost like getting a winning line on a scratch card or all the right numbers in the lottery! That's why taking part in any job selection is never a wasted opportunity. 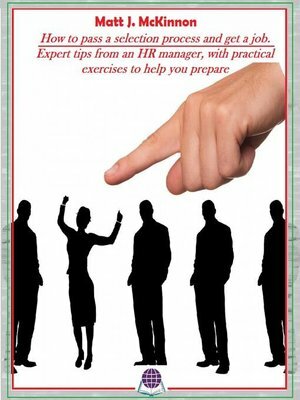 Matt J. McKinnon, with a successful career as an HR manager, provides a simple yet complete and well – structured guide to preparing for a job interview, providing tips on how to face your interview with self – confidence and assurance: a booklet guaranteed to bring success and take the fear factor out of job selections. So, read this book then prepare your CV, ready to send it off for your dream job. After fifteen years in HR management, Matt J. McKinnon has decided to put his experience on paper. He is also a writer.